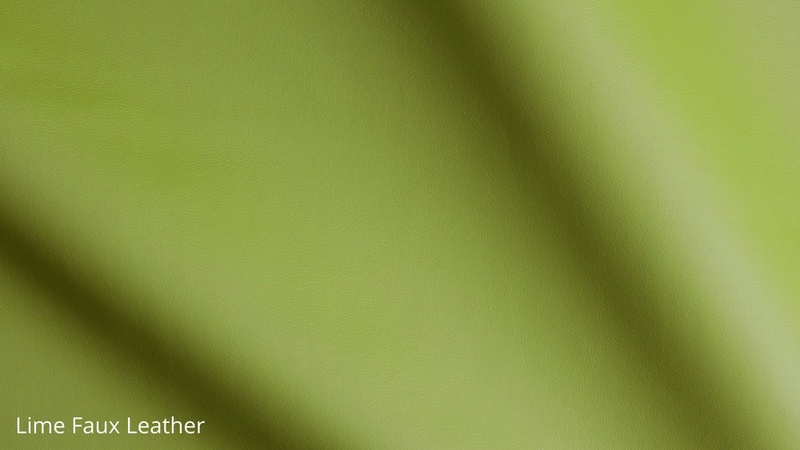 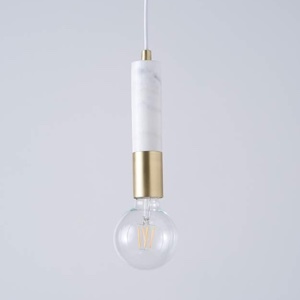 Sometimes, less really is more! 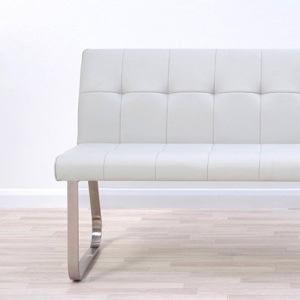 and that's definitely the case with our Naro White Gloss and Tori Stackable 2 Seater Dining Set. 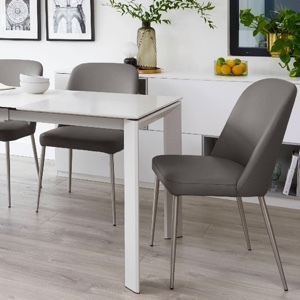 This modern two seater dining set is perfect for adding a crisp and clean elegance in your kitchen or dining room, while its clever sizing makes it ideal for when space is limited. 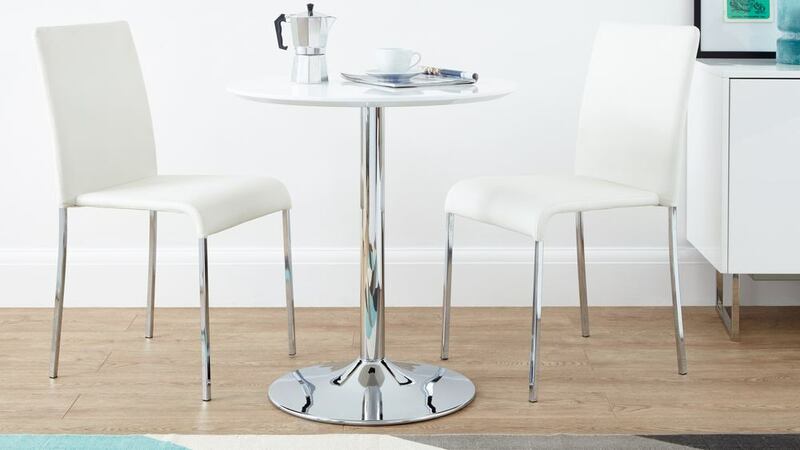 If you're looking to create a small but stylish dining setting, the Naro White Gloss and Tori Stackable 2 Seater Dining Set might just be what you're after. 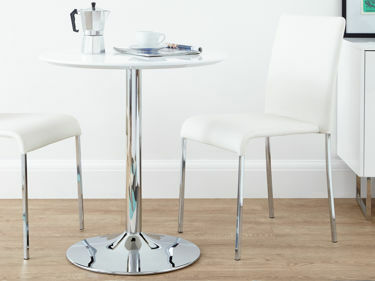 The white gloss table top of the Naro measures 70cm in diameter, comfortably seating up to 2 people. 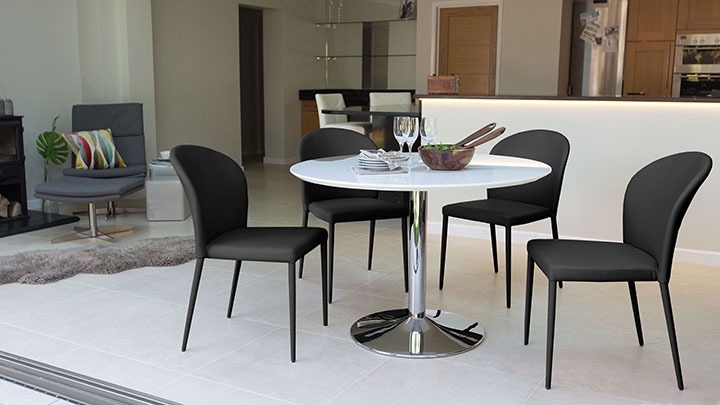 The round shape of the Naro table means it's ideal for creating a cosy and communal dining setting, while it's sizing makes it well placed in a smaller kitchen or dining room. 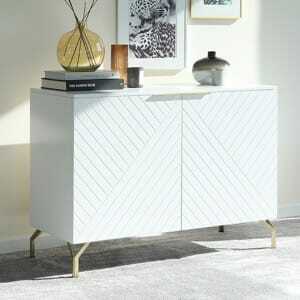 White gloss is also great for creating the illusion of more space. This paired with the convivial round table top and shiny chrome base finish, really allows you to optimise the space you have available. 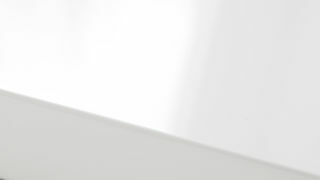 The Naro's sleek white gloss table top sits on a chrome trumpet shaped base. 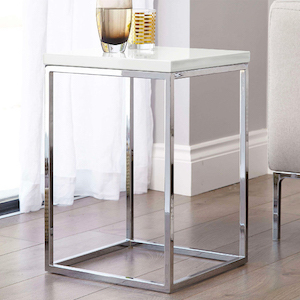 A pedestal base is great for opening up the area around the table while also allowing for plenty of room for the Tori chairs, as there are no table legs getting in the way. 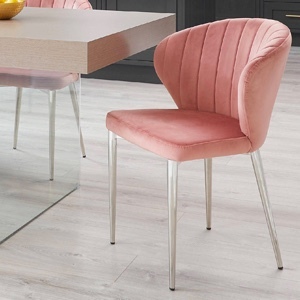 The Tori dining chair is upholstered in durable and stylish faux leather. 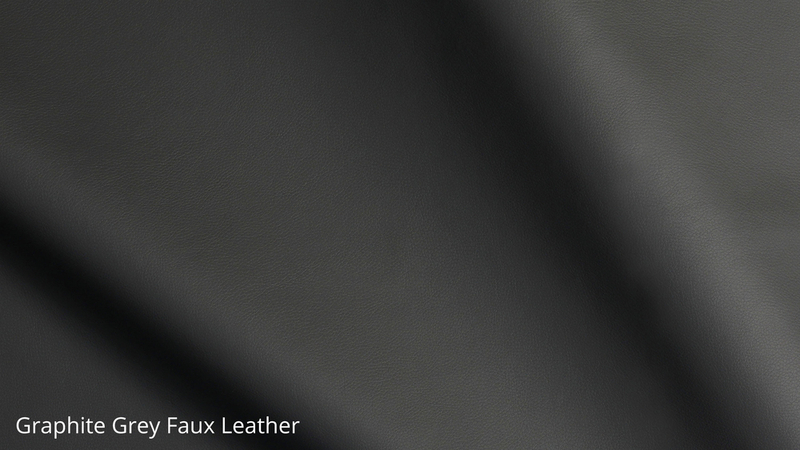 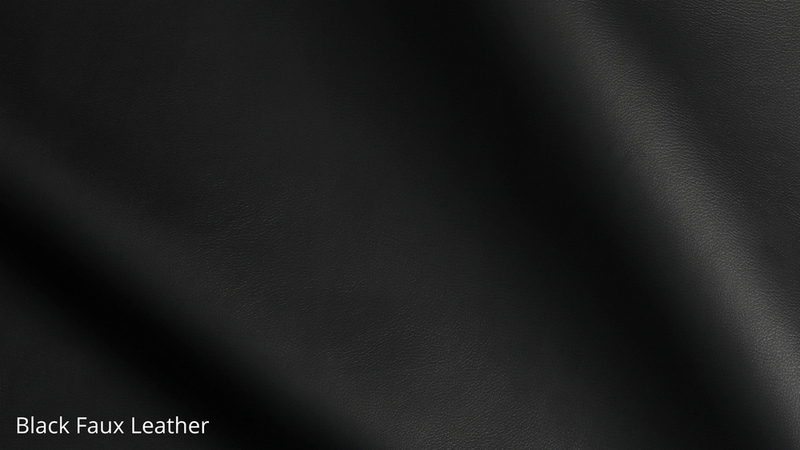 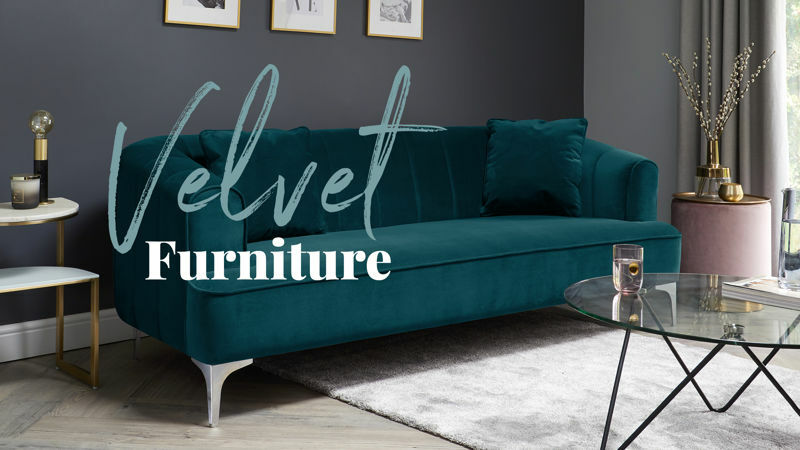 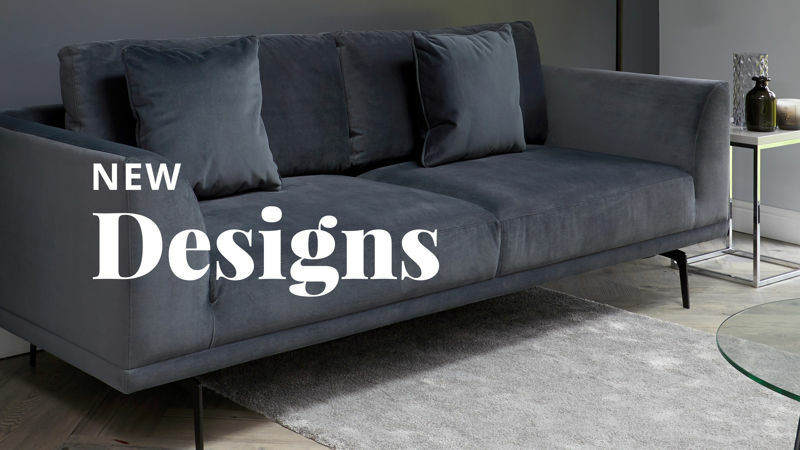 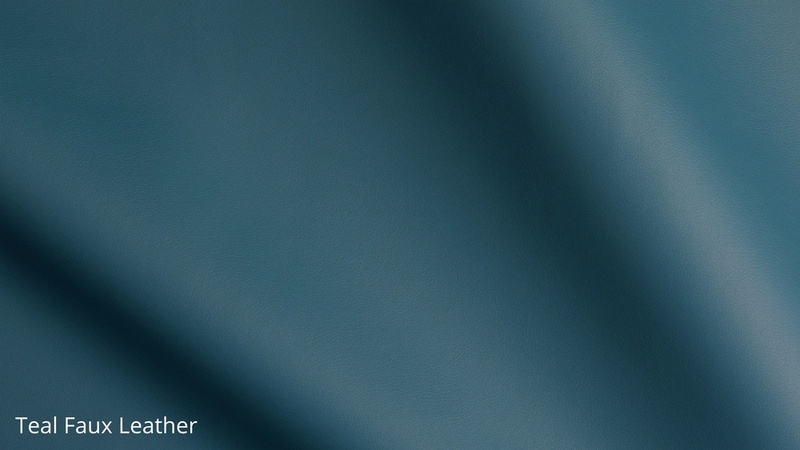 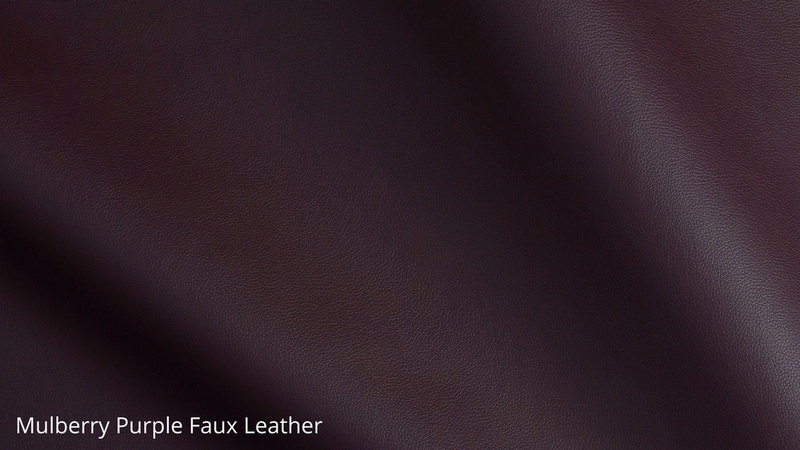 Faux leather is a great alternative if you don't want real leather furniture, as its benefits include being easy to clean and maintain while also being less expensive than real leather. 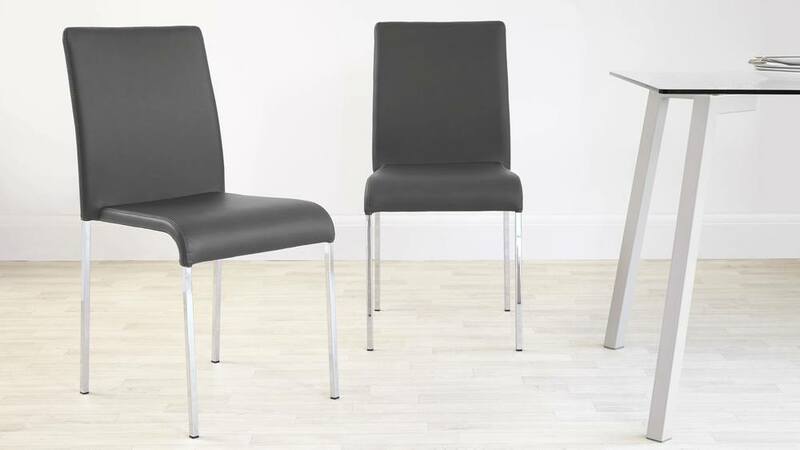 The Tori chair has 4 slim chrome legs which have been squared to add a subtle yet crisp elegance to the base of the seat. 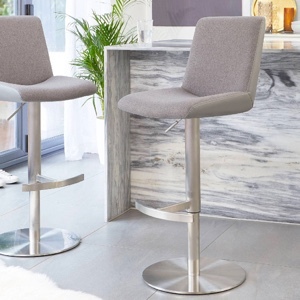 This leg design adds to the overall slim and streamlined look of the chair, while also coordinating with the chrome trumpet base of the Naro table. 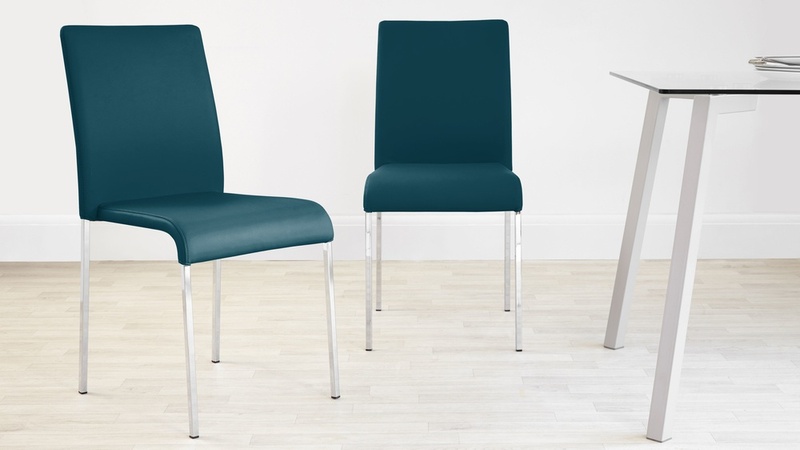 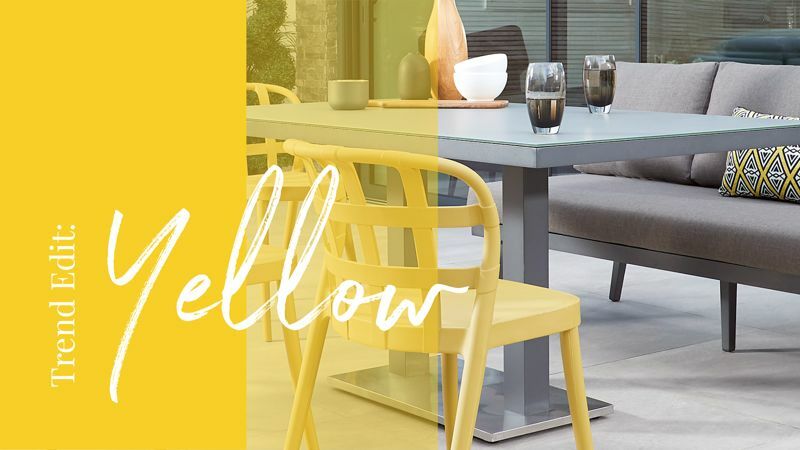 The Tori Modern Dining Chair is a stackable seat, allowing for easy space saving storage without taking away for the chairs slim shape, style or design. 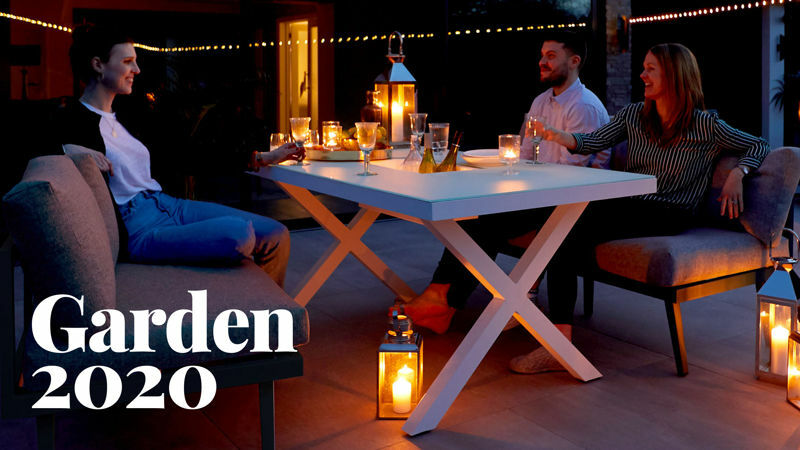 This is such a practical feature as it allows you to easily store away a few extra seats, ready for when you have more guests round for dinner. 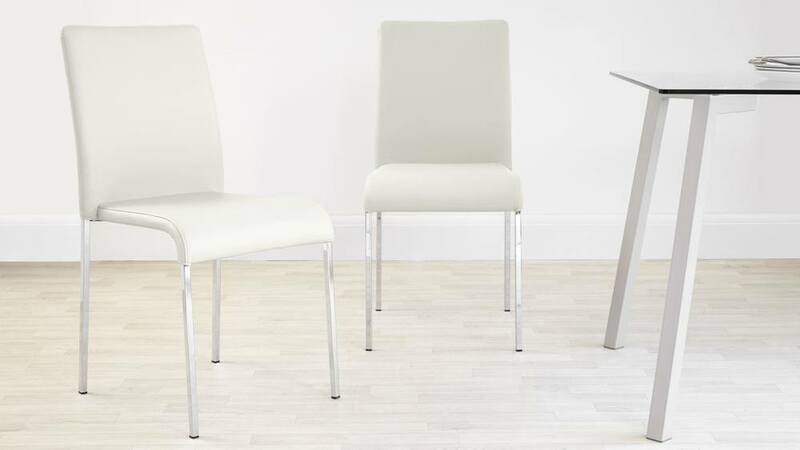 The Naro White Gloss and Tori Stackable 2 Seater Dining Set is an ideal choice if you are looking for a sleek yet small dining setting. 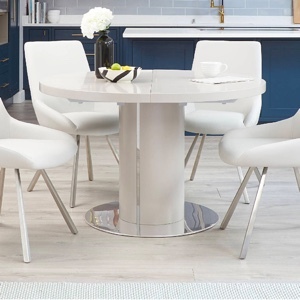 The Naro Round 2 Seater White Gloss Dining Table and Tori Modern Dining Chairs can be view separately if you would like to find out some more information on the individual products. 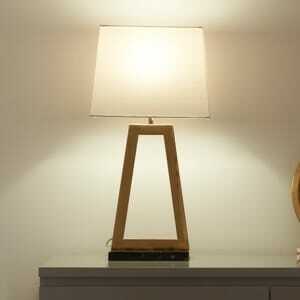 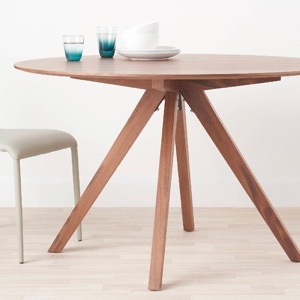 We love the Naro table. 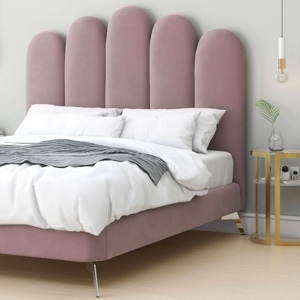 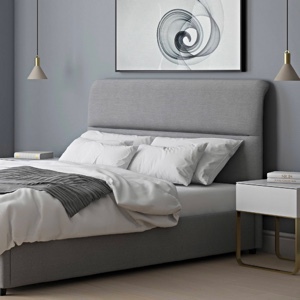 It’s such a simple, clean and understated design yet it has a true feeling of luxury, making it look more expensive than it actually is! 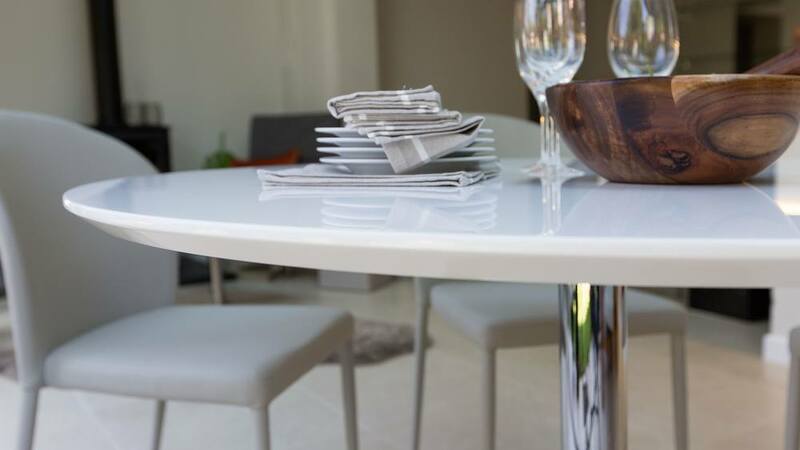 This is down to subtle detailing like the chamfered table edge, giving the white gloss table top a slimmer and sleeker appearance. 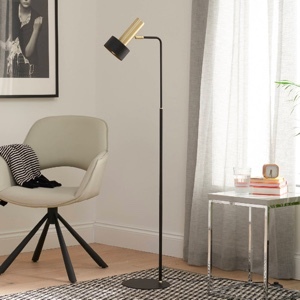 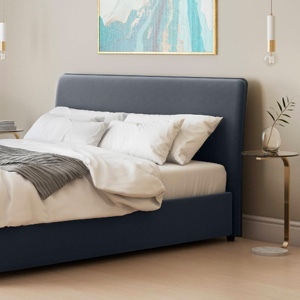 The Naro’s timeless design means you don’t have to have a super modern interior to have this set, but it would look equally as stylish when styled alongside more modern finishes. 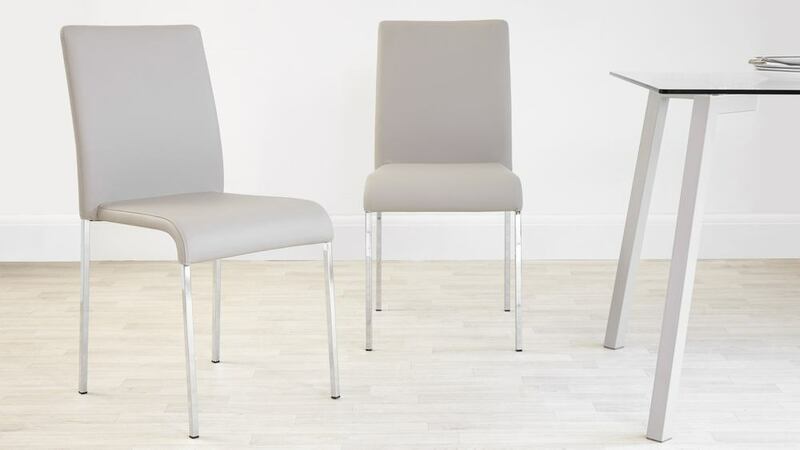 We’ve paired the Naro with the Tori chairs as they also have simple yet elegant design, creating a truly sleek and designer looking dining setting for your home.